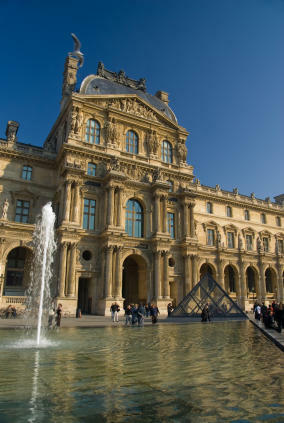 Tourists, journalists and urban planners are often smitten with what might be called the "Louvre Café Syndrome." This occurs when Americans sit at Paris cafes in view of the Louvre and imagine why it is that the United States does not look like this. In fact, most of Paris doesn't even look like this, nor do other European urban areas. Like their US counterparts, European urban areas rely principally on cars for mobility (though to a somewhat lesser degree) and their residents live in suburbs that have been built since World War II. The last example of Louvre Café Syndrome comes from Washington Post Writer's Group columnist Neal Peirce, who suggests that Amsterdam, with its bicycles, is the model for America to follow in a time of high energy prices. Not only is this view incorrect, but Amsterdam is not even a model for the Netherlands. The largest urban areas of the Netherlands, Amsterdam and Rotterdam, have been "stuck in neutral" with respect to growth for at least 45 years. United Nations data indicates that since 1960, 97 percent of urban growth in the Netherlands has occurred outside these two large urban areas. While the population of the two largest urban areas has increased approximately 10 percent, the urban population outside these areas has increased by 120 percent. And how do these urbanites that have chosen not to live in Amsterdam or Rotterdam travel? Try by car. Overall, in the Netherlands, approximately 85 percent of travel is by car --- a figure that is nearly identical to the United States. All of the subway and light rail ridership in the Netherlands is less than the annual increase in car use. Some model. America is a growing nation. Between now and 2030, approximately two-thirds of the urban growth in the developed world is projected to occur in the United States --- that is a considerable number given the fact that the US accounts for less than one-third of the developed world's urban population today. The strategies that work in urban areas with stagnant growth --- such as Amsterdam --- will not work here. As for the bicycles, one could also point to walking and the large share of travel that it represents in Manhattan or the Chicago Loop. A European felled by Louvre Café Syndrome might visit these places and imagine that the urban area looks the same all the way to the urban fringe --- that the citizens of New Brunswick, Westfield or Aurora live in residential skyscrapers and that they walk everywhere. Such a view would be as faulty as Peirce's vision of Amsterdam. It helps to think of things in context. Amsterdam would barely rank in the top 50 metropolitan areas of the United States. The Netherlands has a population less than that of two American metropolitan areas (combined statistical areas), New York and Los Angeles. Finally, all of the Netherlands --- urban and rural areas --- would fit into an area approximately 1.5 times that of the New York metropolitan area. You can't see everything from the Louve.